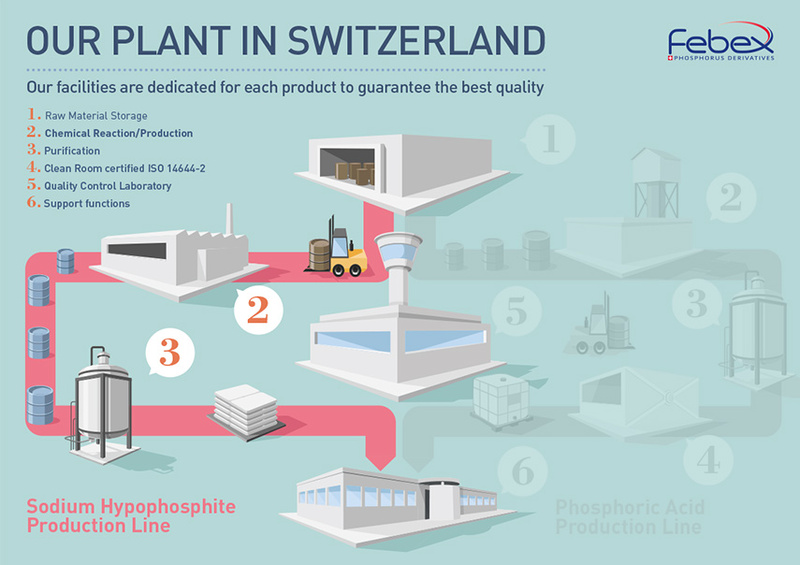 Swiss quality Sofibex, the only Sodium Hypophosphite produced outside of China. Febex is the only manufacturer of sodium hypophosphite (NaH2PO2) outside of China. The specifications of our three grades of Sofibex are catered to meet the stringent requirements of state of the art applications such as electronics. 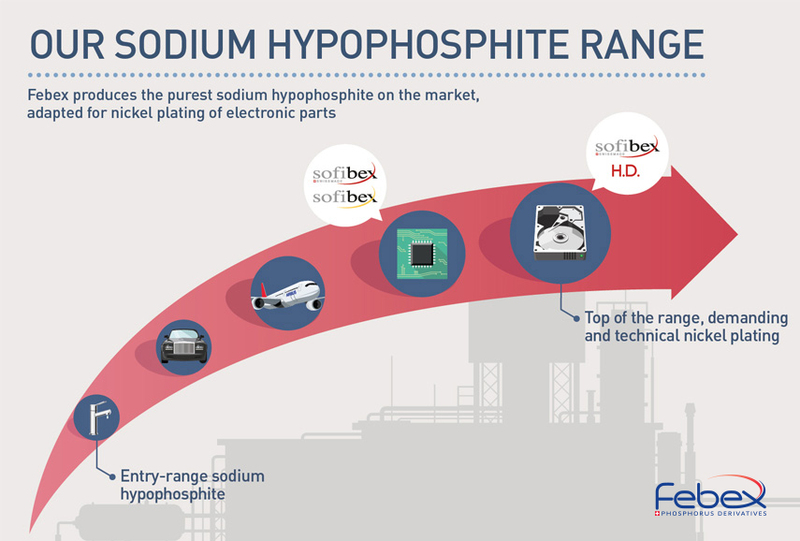 Our Sodium Hypophosphite, marketed under the brand Sofibex, is manufactured from a mixture of caustic soda, lime and phosphorous. It is then separated from the by-products of this reaction and purified. The crystallization is the last step of the purification process. It is followed by automatic conditioning in 25 kg bags. We also pack in 500 kg or 1000 kg big bags. Our process and know-how give Sofibex characteristics that render it unique and of the best quality on the market. The monitoring of the calcium content and the concentration throughout the production chain ensure the yield and the quality of the product. 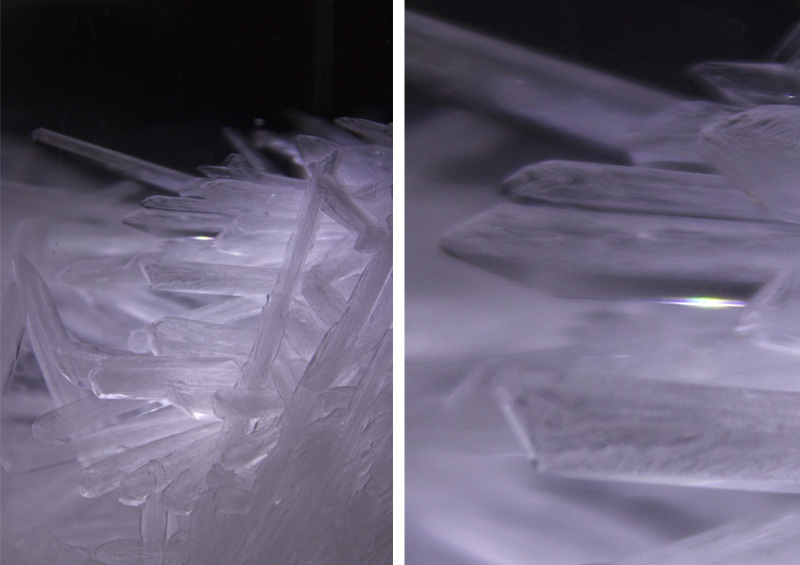 A well-controlled crystallization process transforms Sodium Hypophosphite into liquid crystals. This facilitates the manipulation of the product, namely solution treatment. With our product, no filtration after solubilization. At Febex, we also offer a turnkey product, in a 60% solution (810g/L), conditioned in IBC of 1 250 kg. Market leader in nickel-plating, Sofibex is recognized for the homogeneity of the nickel deposit. This deposit protects the metal component from heat and corrosion or gives plastic components a metallic aspect. Our products are greatly appreciated in mechanical engineering, especially the automobile industry, as well as in the electronics industry. The level of phosphorous incorporated in the layer of nickel is superior to 11%, thus lending it anti-magnetic properties.